During the summer, Colgate students are applying their liberal arts know-how in a variety of real-world settings, and they are keeping our community posted on their progress. 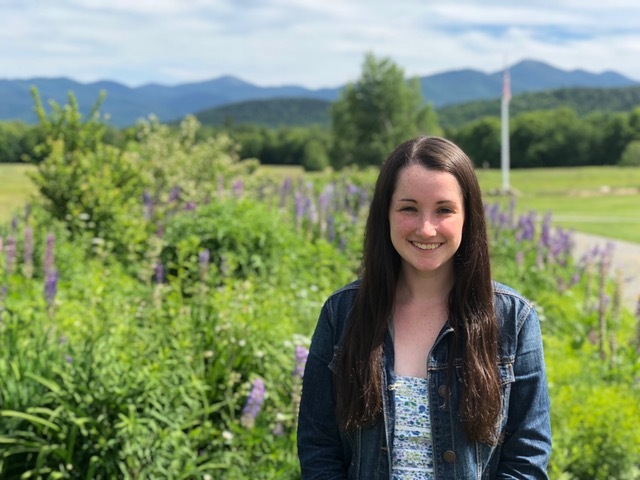 Mathematics and economics double major Kayla Logar ’20, from Denver, Penn., describes her research with the Adirondack Foundation in Lake Placid, N.Y., as part of her summer opportunity at the Upstate Institute. This summer, I am conducting research with Adirondack Foundation as a part of the Upstate Institute’s Adirondack Fellows program. My research focuses on forms of funding in addition to finding potential gaps and overlaps in funding. With my project, I wanted to capitalize on an opportunity to explore my interests in economics while learning and helping people. The research that the Upstate Institute has allowed me to do with Adirondack Foundation has provided the perfect opportunity to work towards this central goal. The Adirondack Foundation works directly with donors and nonprofit organizations to distribute donations from members of the community to nonprofits. The Adirondack Foundation’s central role also enables it to unite regional nonprofits so that they may achieve a greater impact through collaboration. For the first four weeks, I have been gathering information about the Adirondack Foundation and the nonprofit organizations it serves in order to draft a survey that adequately addresses the relevant funding questions. As this has taken place, I have also been developing a list of nonprofit organizations to survey. On a typical day, I will balance these tasks by gathering feedback on my work from the staff at the foundation and revising based on their suggestions. Additionally, I participate in weekly staff meetings and other discussions, including conversations about impact investing. In the next phase of the research, I will spend two weeks surveying the selected nonprofits. Once all of this data is collected, I will analyze it for trends and correlations in order to present the most beneficial information for funders to understand how they can contribute most effectively in the Adirondack region. I have already gained a wealth of knowledge about nonprofit organizations, finance, and helping people within my first few weeks at the Upstate Institute. As a mathematics and economics double major, I hope to incorporate the new insights I have gained about the ways economic concepts can be applied to work towards positive change. In addition, my work has allowed me to talk to many local nonprofit leaders about their various causes. Thus far, the biggest takeaway from this experience is the importance of cultivating my passion and channeling it into doing something good.